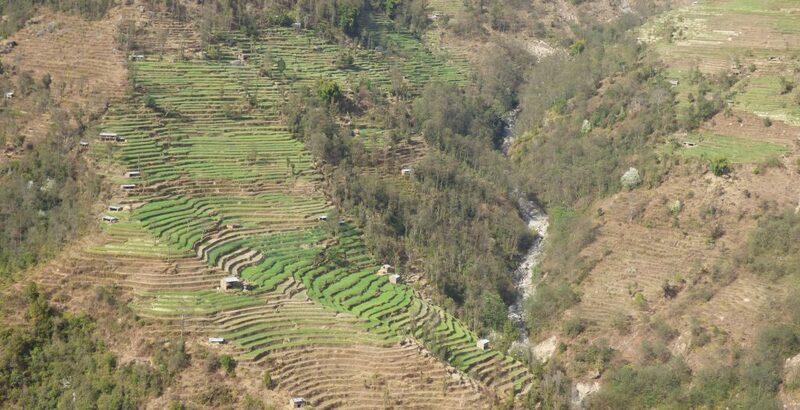 Join one of our trustees, Hirsh, as he journeys through the Helambu Valley to visit our school construction projects. 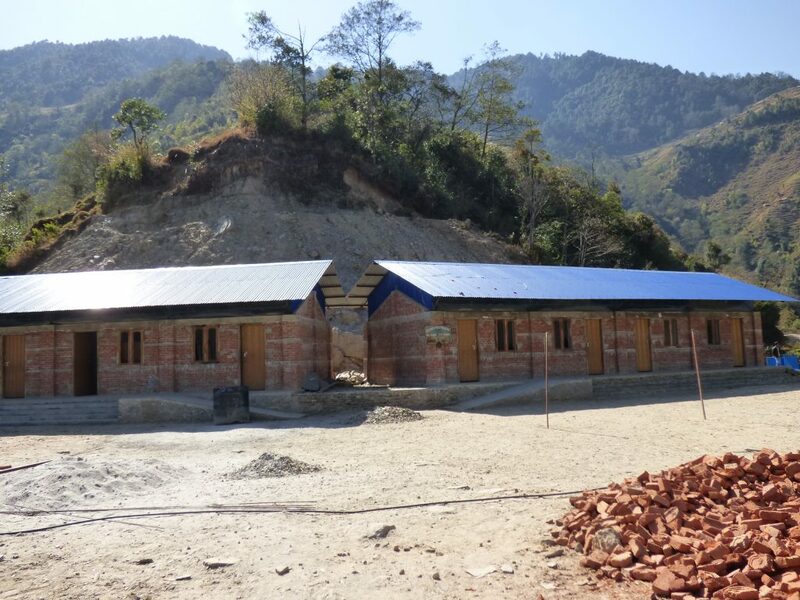 We have been working since the earthquakes in 2015 to re-build and re-construct 15 schools in the Valley. If you missed Part 1, catch up here! Today I am visiting three schools on the first leg of a three day visit to Helambu. First we are going to Tartong which involves the usual rough journey to Melamch Bazaar followed by an even rougher and mostly uphill jeep ride to Tartong. At least today there are only four of us in the jeep so Jimmy and I both have comfortable seat room which limits the unpleasantness of the jolting ride. 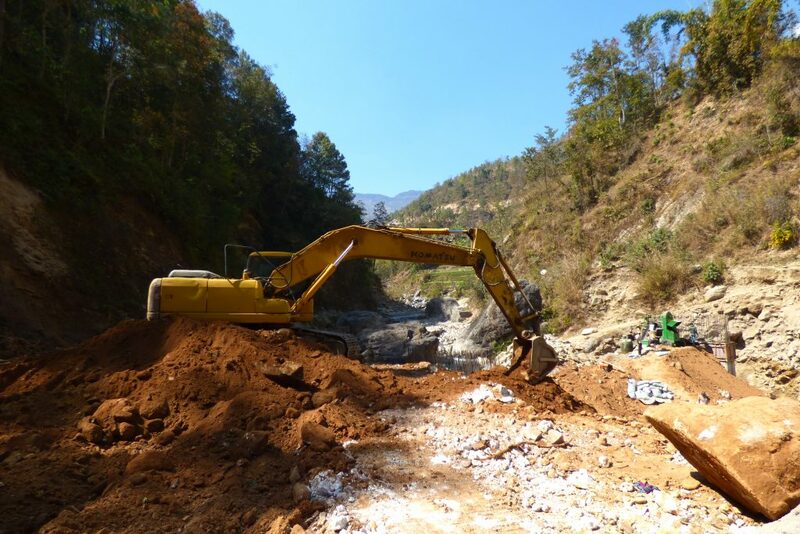 We are hampered however, by the condition of the road and must wait for a bulldozer that is working on it to complete a section of its task before we can proceed. Rebuilding Tartong school itself, I remember, also presented a challenge necessitating a bulldozer and much hard work as the chosen site proved to have huge virtually immovable rocks which had to be dealt with before the building work could start in earnest. 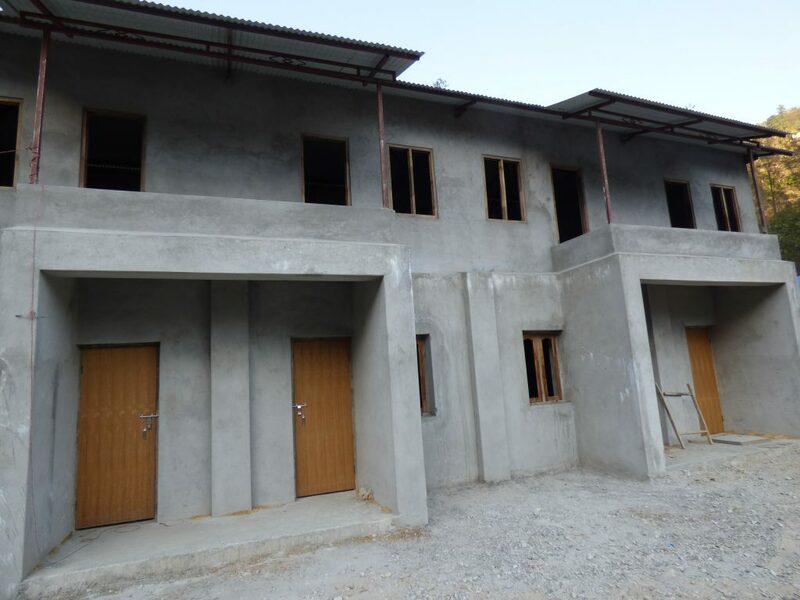 So, progress has been slower than hoped and in fact the basic school classroom blocks are now completed but there is no glass in the windows, external plastering had not been done nor therefore painting. The toilet block also still needs quite a lot of work to complete the structure and bring water to it. The remains of the initial problem are all too evident also as there is a huge amount of large stone pieces in a jumble in the “playground” area between school and toilets and there are other small works also required. Jimmy is as disappointed as I am and immediately sets to talking with key people here about what is still to be done and who will do it. It was good to see the positive response and the fact that a comprehensive action plan was quickly created. By contrast seeing the two new girls hostels at Timbu and Norbuling was unalloyed pleasure. The Timbu structure looks great, really attractive design and is fully plastered, but there is still quite a lot of finishing to do in the dining hall and kitchen. (Since writing this our group of volunteers from Loughborough Uni have arrived and have painted up the hostel quite beautifully in time for the start of the new session which started on14th April). Norbuling is a simpler design but fully in use with 35 girls already staying and complements well the long established boys dorm which faces it. Besides the teacher who is in charge as ‘matron’ the girls hostel is accommodating a volunteer and everybody seems very happy in it. By chance the son of the Timbu guesthouse Gill (my wife) and I had stayed in on a visit before the earthquake is getting married today and Jimmy had been invited but totally forgotten about it. But as soon as we pass by he remembers so our evening is spent at another Hyolmo wedding. It makes a change putting a khadar on somebody else from being garlanded oneself! The guesthouse itself was badly damaged by the earthquake but the bedroom section miraculously is still standing and that is where we spend the night.